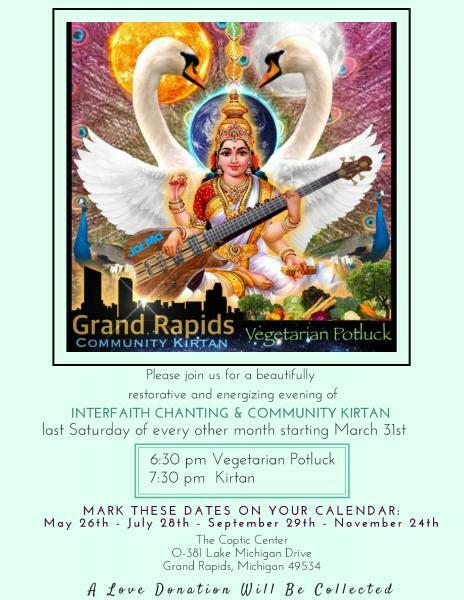 Please join us for a beautifully restorative and energizing evening of Interfaith Chanting & Community Kirtan Vegetarian potluck starts at 6:30pm, with Kirtan starting at 7:30pm. A love offering will be collected. Vegetarian potluck starts at 6:30pm, with Kirtan starting at 7:30pm. A love offering will be collected. Enter your email address below and click "Sign up" to be informed about our workshops, seminars, and other events.